Have you had it up to your eyeballs with digital TV? Gone is the comfort of the analog picture. Now, you're left to resort to reading a book on the patio. What's next, a bottle of wine? This is all because digital TV signals move through the air like water mixes with oil. It's definitely not resilient like the old analog TV signal, which delivered in the rain, sleet, snow or shine. It's time to get TV back into your life. Please use the following troubleshooting techniques as a guide on your way to watching prime-time television again. The Federal Communications Commission (FCC) designed a process called double-rescanning, which erases and then reprograms the channels in the converter box or digital TV's memory. To double-rescan, disconnect the antenna from the converter box or digital TV. Then disconnect the converter and/or digital TV power supplies from the wall. Wait a minute before plugging them back in. The antenna should still be disconnected. Now, it's time to rescan for real. Do this by reconnecting the antenna to the converter box or digital TV and running the channel scan function again. Thus, the double-rescan is born. If the double-rescan doesn't work then try some of these tips and tricks to get your converter box up and running. Move the antenna to a different spot on your entertainment center and try realigning it up or down and left or right. Moving the antenna a few feet away from the converter box probably won't make that much of a difference, but give it the old college try. If it doesn't work then try relocating the antenna. For indoor antennas, you'll want to get the antenna as close to the outside world as possible. Move it close to a window so it gets an unobstructed look at the open air. You'll also want to extend the antenna rods (also called dipoles) all the way up if you're using rabbit ears. Moving an antenna can present a few logistical issues. For starters, you might need to increase the length of the coaxial cable on the antenna in order to move it by a window. To make this happen you'll need to buy more coaxial cable and a coaxial extender. These items are sold at most hardware and electronics stores. Once you get the antenna installed you'll want to perform the double-rescan process described above. Our first recommendation is to ditch that indoor antenna for an outdoor model. We know that outdoor antennas are more expensive and can be a pain to install, but this is your TV we're talking about. How can you watch and record your favorite shows on a Kindle? If the outdoor antenna isn't feasible then try a different type of indoor antenna—one specifically designed for digital. The new digitally-enhanced antennas won't look like an antenna that you're used to. They're flatter by design, which helps them capture the digital TV signal. The key criteria to reap the benefits of amplification is that you are already capable of receiving a digital TV signal. The signal can be poor, but at least it's there. If the antenna doesn't pick anything up then amplification probably isn't an option. 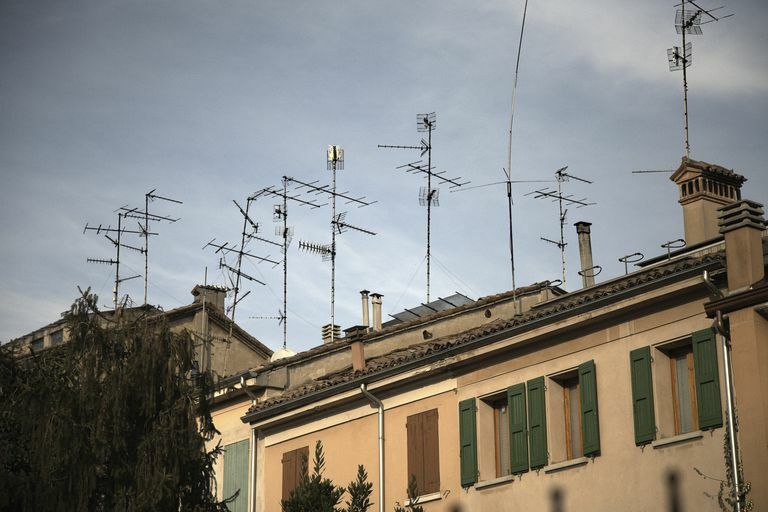 You'll probably need to think about buying an outdoor antenna. Amplification is a tricky concept. Former CEO of All American Direct, Mike Mountford, explained it best when he compared amplifying a digital TV signal to water barely falling out of a hose. Amplification for an antenna is like attaching a nozzle to the end of the hose so you can increase the hose's spraying power. Amplification isn't a guaranteed fix for every poor TV reception scenario but it is an option. You also want to be sure not to over-amplify the signal. You can blow out a TV tuner in the same way that you can blow out a car speaker when cranking the volume. You might also contact your local broadcast stations to see what they can do to help. It's possible they are having technical difficulties that you are unaware of. Special thanks to Hank Caskey, vice-president of antenna reception for Audiovox, who helped shape this article with his valuable insight on antenna reception.